Molluscum Contagiosum is a very common and contagious viral disease. The disease is spread by contact and can be spread on towels, clothing or items such as gym equipment and mats. The primary, and often only, symptom of molluscum is the appearance of small flesh or pink colored bumps anywhere on the skin. The disease is contagious whenever the bumps are present on the skin. 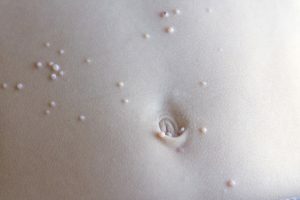 In an otherwise healthy person, 10 to 20 bumps are common. Our office has had much success treating molluscum contagiosum. Call to schedule an appointment if you need to have your molluscum treated.